Pancreatic Cancer Overview: What is Pancreatic Cancer? Pancreas: What does a pancreas do? Is it possible to live without pancreas? How common is pancreatic cancer? What is the most common age for pancreatic cancer? What are various types of pancreatic cancers? What is exocrine pancreatic cancer? Is early diagnosis of pancreatic cancer possible? Blood Tests: Can pancreatic cancer be detected in a blood test? What are various stages and grades of pancreatic cancer? Treatment of pancreatic cancer: Can we cure pancreatic cancer? What are the effective treatment options for the pancreatic cancer? Pancreatic cancer survival rate, prognosis, and outlook: what is the survival rate of pancreatic cancer? What is 5 year survival rate for pancreatic cancer? Prevention of pancreatic cancer: Is it possible to prevent pancreatic cancer? What can you do to prevent pancreatic cancer? What foods you should eat to prevent pancreatic cancer? Pancreatic cancer is caused by abnormal and uncontrolled growth of cells within the tissues of the pancreas, which is a vital endocrine organ of the body. The pancreas plays a very important and essential role in digestion process by producing enzymes that the body needs to digest fats, carbohydrates, and proteins. Owing to its location, pancreatic cancer may be difficult to detect and is often diagnosed only when it has progressed to more advanced stages of the disease or have been spread to other locations in the body. In the United States, pancreatic cancer is the fourth-leading cause of cancer-related fatalities. Pancreatic cancer cells can develop from both endocrine and exocrine cells of the pancreas. Majority of pancreatic cancers are adenocarcinomas. According to the American Cancer Society Facts and Figures 2018, pancreatic cancer is the 3rd leading cause of cancer-related deaths in the United States surpassing breast cancer and by the year 2020, it is expected to become the 2nd leading cause of cancer-related deaths in the US surpassing colorectal cancer. The American Cancer Society Facts and Figures 2018 also reveals that pancreatic cancer is one of the few cancers for which survival has not improved substantially over nearly 40 years. Pancreatic cancer accounts for the highest mortality rate of all major cancers. 91% of pancreatic cancer patients will die within five years of diagnosis while only 8% will survive more than five years after the diagnosis. As many as 74% of patients die within the first year of diagnosis. Pancreatic cancer is a leading cause of death due to cancers mainly because detection tools to diagnose the disease in its early stages do not exist. Surgical removal of the tumour is possible by the time the disease is diagnosed. It is highly lethal because it gets diagnosed often in late stages of the disease and it grows and spreads rapidly in your body. Pancreatic cancer has four sub0types, which have been recently identified based on the genetic analysis of cancer cells. These are squamous, pancreatic progenitor, aberrantly differentiated endocrine exocrine (ADEX), and immunogenic. Weight loss and back pain are the common signs and symptoms of the pancreatic cancer in its late stage. However, in some cases, painless jaundice may be a symptom of an early pancreatic cancer that can be cured with surgery. Surgical removal of all the cancer is the only curative treatment, which includes removal of the entire pancreas and a pancreatic transplant. But, only few patients are eligible for a pancreatic transplant. Chances of the cancer relapse after surgery can be lowered by the use of chemotherapy. Chemotherapy for metastatic pancreatic cancer can be a lifetime situation and there may be an improvement in the quality of life, but it rarely cures the patient. Patients who are diagnosed with pancreatic cancer should be encouraged by doctors to participate in clinical trials that may improve their pancreatic cancer treatment. The pancreas is an organ in the abdomen that lies horizontally behind the lower part of your abdomen above the level of belly button and in front of your spine. It is about 6 inches (15 centimetres) long and appears as if a pear lying on its side. It is found to be sitting deep in the abdomen and is in close proximity to many important structures such as the small intestine (the duodenum) and the bile ducts, as well as important blood vessels and nerves. The pancreas is made up of two kinds of cells with hormonal (endocrine) and digestive (exocrine) functions and pancreatic cancer cells can develop from both types of functional cells. The enzymes helps in the digestion process by breaking proteins, fats, and carbohydrates into smaller parts so that they can be absorbed by your body and can be used as building blocks for tissues and for energy. 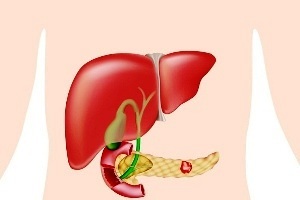 The enzymes from pancreas reaches to the intestine via a system of tubes called "ducts" that connect the pancreas to the intestines where the enzymes mix with ingested food. It’s possible for you to live without a pancreas but with limitations! In a case, where the entire pancreas is removed from your body, it leaves you devoid of the cells that make insulin and other hormones to maintain safe blood sugar levels and proper digestion. You will develop diabetes as a result, which can be hard to manage because you will get dependant on insulin shots completely. More than 55,000 people (29,000+ men and 26,000+ women) will be diagnosed with pancreatic cancer. About 45,000 people (23,000+ men and 21,000+ women) will die of pancreatic cancer. About 3% of all cancers in the US are cases of pancreatic cancer and it is responsible for about 7% of all cancer deaths. For men, the average lifetime risk of pancreatic cancer is about 1 in 63, while for women, it is about 1 in 65. 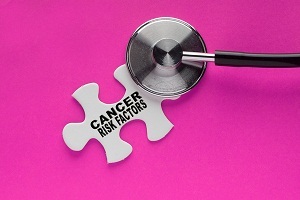 But each person’s chances of getting this cancer can be affected by certain risk factors. As you age down, the risk of getting pancreatic cancer goes up. It usually occurs after the age of 45 years, in which about two-thirds are at least 65 years old and the average age at the time of diagnosis is 71 years. Pancreatic cancer is classified mainly on the basis of the pancreatic part being affected by the cancer. It can either affect the exocrine or endocrine part of the pancreas and hence classified accordingly. It is the cancer of the pancreas arising from the exocrine cells of the pancreas. The exocrine part of the pancreas constitutes about the 95% of the pancreas so it is obvious that most pancreatic cancers arise here. 95% of cases of exocrine pancreatic cancer are due to pancreatic adenocarcinoma though there are several other types of exocrine pancreatic cancer too. This kind of pancreatic cancer is much less common and arises from the cells which produce hormones that are directly released into the blood stream (endocrine system). The tumours arising from these kinds of cells are called pancreatic neuroendocrine tumours (NETs) or islet cell tumours. What are the main causes of pancreatic cancer? Why does pancreatic cancer occur? The exact cause responsible for the development of pancreatic cancer is unknown; however there are some risk factors which make the pancreatic cancer more likely to occur. This type of cancer occurs when cells in your pancreas develop mutations in their DNA. These mutations cause cells to grow uncontrollably and form a tumour resulting in an increased amount of abnormal cell production and taking over of healthy cells. Untreated pancreatic cancer spreads to nearby organs and blood vessels. What are the risk factors for developing pancreatic cancer? In the early stages, pancreatic cancer often goes undetected and doesn't cause any symptoms, which makes it difficult to diagnose until it's in advanced stage and very difficult to treat. In almost all cases, signs and symptoms of pancreatic cancer starts manifesting itself only after it has grown and begun to spread. Since, the symptoms of exocrine pancreatic cancers and endocrine pancreatic cancers/pancreatic neuroendocrine tumours (NETs) are often different, so they are discussed separately. Having one or more of the symptoms below does not always make you susceptible to developing pancreatic cancer. Many of these symptoms are more likely to be caused by other conditions that are not cancers. You must consult your physician immediately if you are experiencing any of these symptoms persistently so that the cause can be treated early. Early stages of pancreatic cancer tend to be silent and painless as it grows. When it becomes large enough to cause symptoms, pancreatic cancer has generally grown outside the pancreas. Most people with pancreatic cancer will have jaundice as one of their first manifestation of symptoms as pancreatic cancer blocks duct that releases bile into the intestine (common bile duct). The ingredients of bile build up in the blood which turns the skin and the eyes yellow, a condition called jaundice. Cancers that start near the common bile duct and in the head of the pancreas can press on the duct and cause jaundice while they are still fairly small. This can sometimes lead to the tumours being found at an early stage. But this doesn’t happen in case of cancers that start in the body or tail of the pancreas. They don’t press on the duct until they have spread through and beyond the pancreas. This kind of blockage also causes dark urine, light-coloured stools, and itching. Abdominal (belly) or back pain is a common condition in case of pancreatic cancer and 70 per cent of the patients with pancreatic cancer go to the doctor initially due to pain. The nature of this pain can be described as beginning in the stomach area and radiating around to the upper back (just above where a woman’s bra strap would be). Cancers which precipitate in the body or tail of the pancreas can grow fairly large and start to press on other nearby organs or nerves, causing pain either in your upper abdominal part and back. However, the pain in the abdomen or back is fairly common and is most often caused by something other than pancreatic cancer. Many patients having pancreatic cancers sometimes develop diabetes as the cancer elevate blood sugar levels by destroying the insulin-making cells. Various symptoms can include feeling thirsty and hungry, and having to urinate often. It may also happen that there is no visible symptom of diabetes but it can still be detected with blood tests. Unintended and significant weight loss is very common in people having pancreatic cancer. You may experience very poor or no appetite. In case of cancer blocking the bile duct, bile components usually build up in the gallbladder, making it larger. Sometimes your doctor can detect this as a large lump under the right side of the ribcage during a physical exam. It can also be confirmed by seeing on imaging tests. If the cancer has reached to the liver, it can also enlarge the liver. Your doctor might be able to feel this below the right ribcage as well on an exam, or see it on imaging tests. Sometimes, blood clot in a large vein, often in the leg is the first clue that someone has pancreatic cancer which is also known as deep vein thrombosis. It can cause pain, swelling, redness, and warmth in the affected leg. It can also cause pulmonary embolism, as sometimes a piece of the clot can break off and travel to the lungs, which might make it hard to breathe or cause chest pain. However, the presence of blood clot does not usually mean that you have cancer. There are many other things which can cause blood clots. Pancreatic cancer can also cause bowel disturbance meaning you will not be able to absorb your food properly. It results in regular, large bowel movements of pale and smelly stool which might also cause weight loss. Pancreatic cancer can cause nausea, vomiting, and pain that tend to be worse after eating especially when the cancer presses on the far end of the stomach and partly block it. This blockage makes it hard for food to get through. Patient can also experience a mild to severe form of depression in early stages of pancreatic cancer. If you never had a severe bout of depression before, you should get cautious on experiencing a depressive episode and should consult your doctor. 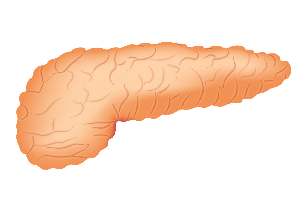 Endocrine pancreatic cancers, comprising of Islet cell tumours/neuroendocrine tumours (NETs), arise from the cells in the pancreas that make hormones. These tumours account for less than 5% of all pancreas reported pancreatic tumours. Most often, pancreatic NETs on spreading go to the liver resulting in enlargement of the liver, which can cause pain and loss of appetite. 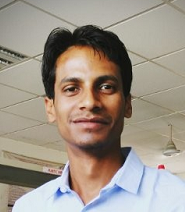 Sometimes it can lead to jaundice by altering the normal liver function. These cancers can also spread to other organs and tissues of your body and the symptoms depend on where the cancer is growing. For example, shortness of breath or a cough can be result of cancer spreading to the lungs. If it spreads to bones, it can cause pain in the bones. How is pancreatic cancer diagnosed? Is early diagnosis of pancreatic cancer possible? Pancreatic cancer is hard to diagnose and find early. Early tumours can’t be seen or felt by health care providers during routine physical exams owing to pancreas location since it sits deep inside the body. You will not experience any symptoms until the cancer has already spread to other organs of your body. Currently, there is no established early detection (screening) method or a standard diagnostic tool for pancreatic cancer. An early diagnosis can help you in long term control of pancreatic cancer with the help of surgical resection, yet most patients are diagnosed at later stages and are not eligible for surgery. If your doctor suspects the presence of pancreatic cancer after getting your medical history and performing physical examination, he/she might suggest one or more of the following diagnostic methods to confirm the presence, its condition and location of the tumour in your pancreas. During ERCP, a hollow tube with a camera and other tools on its end (known as endoscope which is flexible in nature) is put through the mouth to the small intestine, near the pancreas. The advantage with this technique is that it can collect images from the area, as well as take a small biopsy with a brush. Here, your radiologist inserts a needle into the mass, capturing some tissues under imaging guidance and the captured tissues are subjected to further investigation. Other name for this procedure is fine needle aspiration (FNA). Similar to an ERCP procedure, an endoscope is placed near the pancreas. An ultrasound probe that is attached to the endoscope locates the tumour mass. A needle is provided on the endoscope to pluck tissue sample from the mass, which is sent for further investigation in a laboratory. It is a surgical procedure that uses several small incisions. It is also known as keyhole surgery. Your doctor will be able to collect tissue for biopsy, as well as see inside the abdomen to determine if pancreatic cancer has spread. Because of several incisions made in the laparoscopy, this technique has higher risks than other biopsy approaches. Blood tests alone can’t be the basis for cancer diagnosis. Your doctor looks for a specific cancer marker. Markers may be defined as chemical substances that can show up in the blood of patients with some types of cancer. Pancreatic cancers may produce two markers – CEA and CA19-9. However neither of these tumour marker tests is accurate enough to tell for sure if someone has pancreatic cancer. When the serum level of CA 19-9 is greater than 37 U/mL, it is supposed to be elevated and is more commonly used for marking purposes. The CA 19-9 blood test measures the level of antigens (substances that cause the immune system to make a specific immune response) in the blood serum of a person with pancreatic cancer. CA 19-9 antigens are the substances released by pancreatic tumour cells in response of immune system. However, some non-cancerous conditions may also be responsible for the elevated levels of CA19-9, which is why it is not particularly useful as a diagnostic test for pancreatic cancer. On the basis of these diagnostic approaches used either alone or in combination, your doctor will lay down the future plan of intervention and treatment of pancreatic cancer. After a confirmed diagnosis of pancreatic cancer, your doctor tries to determine the extent and advancement of the cancer which is done by assigning a definite stage to the cancer. Staging actually reveals how advanced your cancer is and also weather it has reached to any other parts of the body. This assignment of stage to the pancreatic cancer helps determine what treatments are most likely to benefit you. There are 4 stages of pancreatic cancer and are indicated by Roman numerals ranging from 0 to IV with stage I being the earliest stage and stage IV being the most advanced stage, when the cancer has spread to other parts of the body. 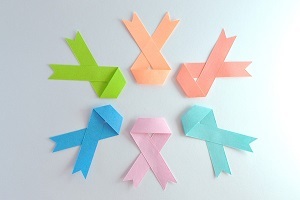 Though this stage is not counted in the new staging system, but in this stage cancer is found only in the lining of the pancreatic ducts and also called carcinoma in situ. Cancer is found confined in the pancreas only. In this stage, generally, the cancer may have spread or advanced to nearby tissues and organs and lymph nodes near the pancreas. Stage IIA: Cancer has spread to nearby tissue and organs in this stage, but not to the nearby lymph nodes. 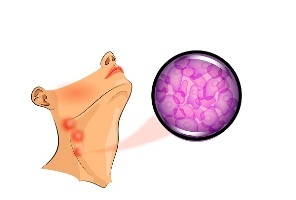 Stage IIB: Cancer has spread to nearby lymph nodes as well and may have spread to other nearby tissues and organs too. In stage 3, the pancreatic cancer has advanced and spread to the major blood vessels near the pancreas and may have spread to nearby lymph nodes too. This stage is usually termed as end-stage pancreatic cancer where the cancer may be of any size and has spread to distant organs, such as the liver, lung, and peritoneal cavity. 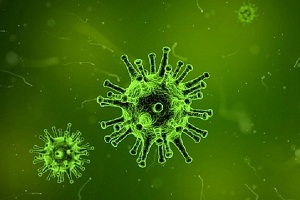 It also may have spread to organs and tissues near the pancreas or to lymph nodes. This is also called terminal stage of pancreatic cancer. Pancreatic cancer patients are usually grouped into three categories on the basis of location and severity of the cancer - those with local disease, those with locally advanced cancer, unresectable disease, and those with metastatic disease. Initial therapy approaches often differs for patients in these three groups. Grade 1 (G1) indicates that the cancer is much like normal pancreas tissue. Grade 3 (G3) indicates that the cancer looks very abnormal. Grade 2 (G2) falls somewhere in between the G1 and G3. Grade 1 pancreatic cancers which can also be called low grade cancers tend to grow and spread more slowly than high-grade cancers (such as Grade 3). Grade 3 cancers, most of the times have very poor prognosis as compared to Grade 2 or Grade 1 pancreatic cancers. If the location of the cancer is confined only in the pancreas or just beyond it and the surgeon believes the entire tumour can be removed, it is called resectable pancreatic cancer. However, it is always important to note that some cancers might appear to be resectable based on imaging tests, but once surgery is done, it might become clear that not all of the cancer can be removed. If this kind of situation arises, only some of the cancer may be removed to confirm the diagnosis in case a prior biopsy hasn’t been done already. Previous planned operation should be stopped to help avoid the risk of major side effects. If the cancer has moved out of pancreas and might have just reached nearby blood vessels, but your doctor feels that it is still possible to remove it completely with surgery, it is categorized under borderline resectable pancreatic cancer. This term is used to describe a condition where the cancer has not yet spread to distant organs but it still can’t be removed completely with surgery. Generally, the barring factor due to which cancers can’t be removed is because it has grown into or surrounded nearby major blood vessels. Surgery in this case is not useful and can have major side effects. Even if the surgery is employed in this condition, it is only for preventing or relieving symptoms or problems like a blocked bile duct or intestinal tract, instead of trying to cure the cancer. Cancer is said to be in metastatic stage if it has spread to distant organs which generally mark the stage IV of the pancreatic cancer. Surgery can’t help to remove it completely and can be employed only for either prevention or relieving of the symptoms rather than as a cure of the pancreatic cancer. Pancreatic cancer can be cured if it gets detected in very early stage, but in majority of the cases, patients are diagnosed with this condition only in its advanced stages when it has already spread to other parts of the body. In this case, even the surgical removal of the tumour won't cure the disease. If you are diagnosed with pancreatic cancer, the treatment for it depends on the stage and location of the cancer as well as on your overall health condition and your personal preference for any particular option. Treatment of pancreatic cancer has two major defined goals – to eliminate the cancer by killing cancerous cell and to prevent the growing and spreading of the disease to the other parts of the body to improve your quality of life. Different treatment options for the pancreatic cancer may include surgery, radiation, chemotherapy or a combination of these. In the metastatic phase or the advanced stage of the pancreatic cancer, these treatments aren't likely to offer any benefit. In such conditions, the treatment goal shift the focus to symptomatic relief and your doctor may recommend a palliative care for you so that you can feel as much comfortable as possible. Your doctor may decide to remove the tumour surgically If there is no sign that the tumour has spread beyond the pancreas and you are fit enough to undergo the operation. Based on the size, location and condition of the tumour, your doctor may recommend one of the following procedures for the treatment of the pancreatic cancer. This operation is employed if your cancer is located in the head of the pancreas. This process is also known as pancreaticoduodenectomy. During the Whipple’s procedure operation, there is a surgical removal of the head of the pancreas, the first part of the small intestine (duodenum), the gallbladder and part of the bile duct. In some cases, even some part of the stomach and nearby lymph nodes may be removed as well. After the removal of the intended portions, your surgeon reconnects the remaining parts of your pancreas, stomach and intestines to allow you to digest food. In some patients, the entire pancreas may need to be removed. This is process is known as total pancreatectomy. It is important to note that you can live relatively normally without a pancreas but you will need a lifelong insulin and enzyme replacement to compensate for the total pancreas removal. A surgery performed for the removal of tumours in the pancreatic body and tail is known as distal pancreatectomy. In some cases, your surgeon may also remove your spleen during this operation. If your tumour involve nearby blood vessels and is in advanced stage of the pancreatic cancer, you might not be considered eligible for the Whipple procedure or other pancreatic surgeries. Like every surgical operation, each of these surgeries carries the risk of bleeding and infection. You should expect a long recovery time after any of these procedures. Generally you'll spend several days in the hospital after surgery and you will recover for several weeks at home. You should first get comfortable with your surgeon and should not hesitate to ask about your surgeon's and hospital's experience with pancreatic cancer surgery. If at any stage of planning of the surgery, you are doubtful, you should get a second opinion. Chemotherapy (chemo) uses anti-cancer drugs to help in killing of cancerous cells. After administration, either via oral route or in vein, these drugs enter the bloodstream and reach all areas of the body, making this treatment potentially useful for cancers that have spread beyond the organ they started in. During chemotherapy, you might receive one chemotherapy drug or a combination of them. In some cases, a combination of chemotherapy with radiation therapy can be used which is called as chemoradiation and is typically used to treat cancer that has spread beyond the pancreas, but limited to nearby organs. This combination may be used before surgery to shrink the tumour at very specialized medical centres. Sometimes, it is used to reduce the risk of recurrence of cancer after surgery. In people with pancreatic cancer at stage III or stage IV, chemotherapy is often used to control cancer growth and prolong the survival. Radiation therapy uses high-energy X-rays beamed from a machine to the pancreas to kill pancreatic cancer cells. It is done on a daily basis during a series of daily treatments, usually over a period of weeks. Both radiation therapy and chemotherapy damage some nearby normal cells too, along with cancer cells. Generally, side effects can include nausea, vomiting, appetite loss, weight loss, and fatigue as well as toxicity to the blood cells. These side effects usually cease within a few weeks after the radiation therapy is complete. Palliative care is a specialized medical care that focuses on providing relief from pain and other symptoms of a serious illness rather than curing the illness. In this approach, palliative care specialists provide an extra layer of support that complements your ongoing care by working with you, your family and your other doctors. It can also be employed while you are undergoing aggressive treatments, such as surgery, chemotherapy and radiation therapy. 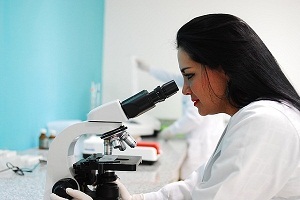 Various new diagnostic methods and treatments for pancreatic cancer are constantly being tested in clinical trials; you can get benefitted by participating in these trials. For any further information regarding the latest treatments for pancreatic cancer, you should visit the websites of the American Cancer Society and the National Cancer Institute. The side effects of pancreatic cancer treatment generally depend on the type of the treatment being used for the pancreatic cancer. For example, side effects due to radiation therapy tend to accumulate throughout the course of radiation therapy and include fatigue, nausea, and diarrhoea. For better management of pancreatic cancer, the risk associated with the treatment must be weighed against the inevitable and devastating risks associated with uncontrolled pancreatic cancer. If the treatments can check the cancer progression, it must be incorporated in treatment regimen. According to the statistics published by American Cancer Society, the one-year relative survival rate for all stages of pancreatic cancer combined is about 20%, and the five-year survival rate is nearly 7%. These low figures of survival rates are mainly attributable to the fact that fewer than 20% of patients’ tumours are confined to the pancreas at the time of diagnosis. In most of the cases, the malignancy has already progressed to the point where surgical removal is nearly impossible. However, it is important to remember that the 5-year relative survival rates are mere estimates and your outlook can vary based on a number of factors specific to you. In those cases where resection is possible, the average survival rate is 23 to 36 months. The overall five-year survival rate is about 10%, however this can rise as high as 20% to 35% if the complete tumour removal is done prior to the spread of cancer to the lymph nodes. It was also observed that survival rates can also vary based on the impact of the tumour and its size. The larger the tumours are, the less likely is it to be cured by resection. However, complete removal of even large tumours is possible and a number of patients with tumours greater than 4-5 cm appear to have been cured by surgery. Data also backs the increasing evidence that the best pancreatic cancer outcomes are achieved at major medical centres with extensive experience where at least 20 Whipple procedures are performed annually. According to recommendations released by The American Cancer Society, you should choose foods and beverages in optimum amounts that can help you to stay healthy with a healthy weight that can be achieved by eating a healthy diet, with an emphasis on plant foods. You should incorporate at least 2½ cups of vegetables and fruits every day in your diet. Prefer and use whole-grain breads, pastas, and cereals instead of refined grains, and eat fish, poultry, or beans instead of processed meat and red meat. 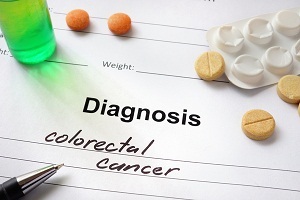 Stomach Cancer Survival Rate Gastric cancer (Stomach cancer) prognosis and survival rate Prognosis or outlook is defined as “the chance of recovering from cancer”. In general, prognosis. . . . 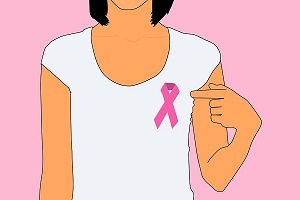 Causes of Breast Cancer (Breast Cancer Risk Factors) Breast cancer is the most common invasive cancer in women, and the second main cause of death in women due to cancer – after lung cancer. Breast cancer generally. . . . Bone Cancer: Types, Causes, Symptoms, Diagnosis, Treatment What is bone cancer? 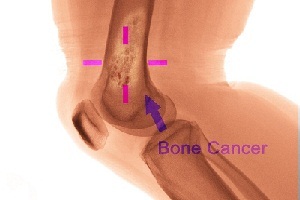 Bone cancer is an uncommon cancer that occurs in the bones. Bone cancer can occur in any bone in the body, but it most commonly affects the long bones such as. . . .